I love seasonal home decor items that I can change on a whim and update with the new season, especially since it's usually very budget friendly. Using stuff I already have in the house, or stuff from the dollar store, I can create cute wreaths for my front door! 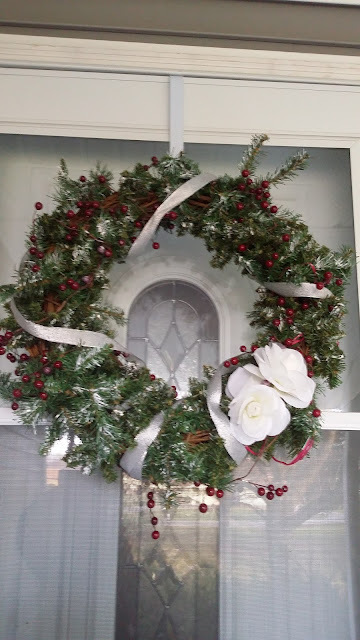 Here's how my Winter Wreath turned out. I had this grapevine wreath that I bought as a decoration for our Hobbit/Lord of the Ring Party last Winter. I think I got it for around $3 at a thrift store. It has not gone back into the re-donate pile yet, because it has proven to be useful beyond the party! In the Fall, I went to the dollar store and bought about 3 Fall leaf branches in their floral department to make the Fall wreath. 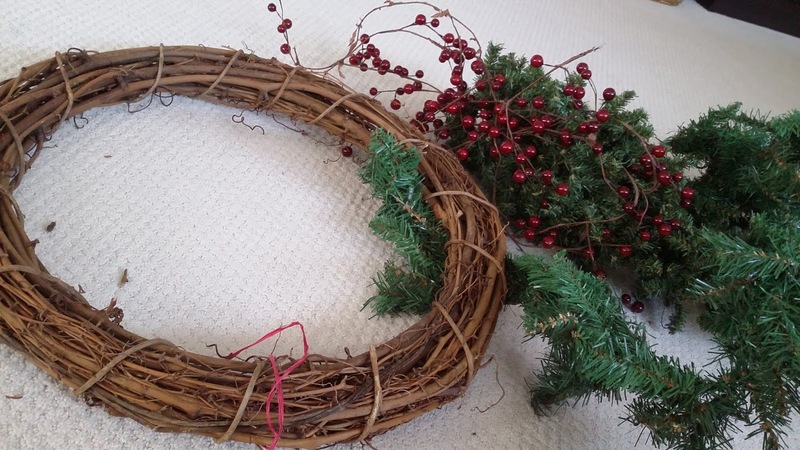 Grapevine wreaths are so flexible because you can just weave everything through the grapevines and then just pull them right out when you're ready to change it up. Using things that are wired or have a long end makes this task easier. 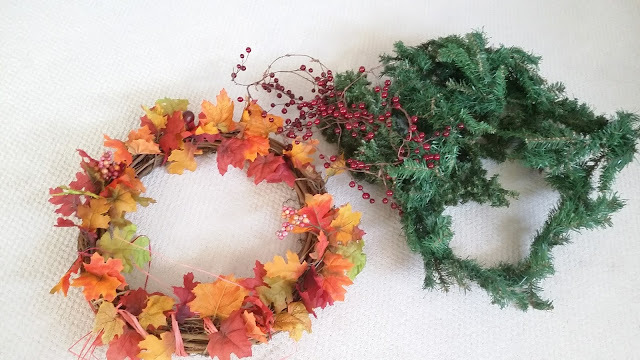 Once I had my Fall wreath undressed, I began creating my Winter wreath. 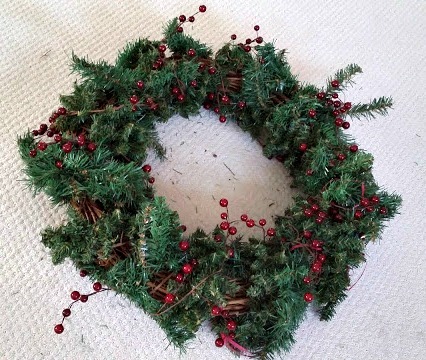 As this is not specifically Christmas themed, I can use this right until I re-dress it as a Spring wreath. The first thing I did was wrap the 2 evergreen garlands around the wreath. I tucked the ends between the grapevines. I don't mind if there are pieces sticking out randomly. I love the chaos of nature and like for my things to reflect that natural randomness. Once the garlands were on, I added the berries by weaving the ends of their wires through the grape vines. 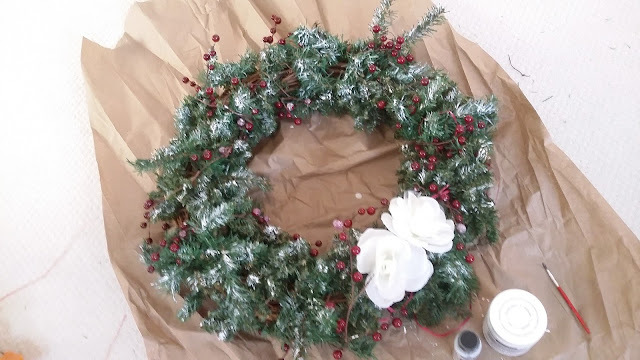 Once the garlands and berries were on, I got a large piece of paper to put the wreath on while I painted to protect my area. I just brushed white paint on lightly at random spots to the ends of the needles. I didn't end up using the sparkle paint very much. I painted two or three berries and decided I didn't like it. Once I got to this point, I decided to add the white roses. 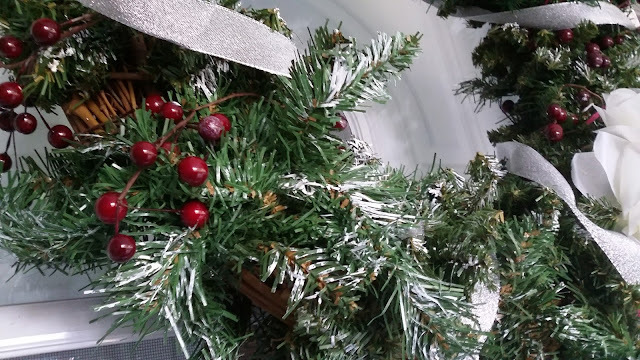 I thought they would be pretty with the green and white evergreen and the berries. 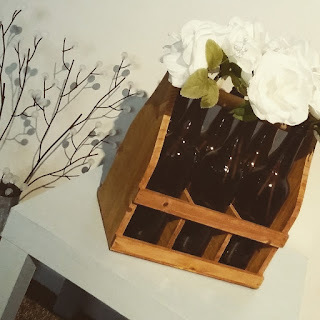 For my winter wreath, I used 2 of the white roses from my Wooden Beer Carrier Craft. One of the trees that I took inspiration from was a DIY how to for painting your Christmas tree to make it look flocked. 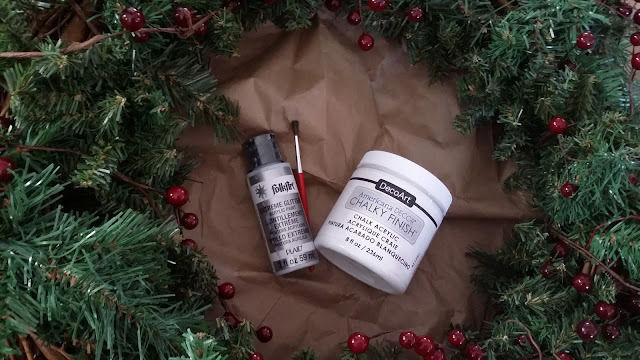 I loved the idea of painting white on my Christmas tree to make it look snowed on. It seems prettier than my plain, green evergreen tree now! I wasn't sure how my hubby would react, though. And it's already decorated. So, I decided to try it on the wreath and love how it turned out! The other tree I took inspiration from was the tree with flowers in the post above. Once I had the flowers on, it still seemed to need something, so I found some silver ribbon in my room. I was hoping for a wider, red plaid, but I didn't find anything like that in my craft room and decided that silver was good enough! I love how my wreath turned out and it didn't cost me a penny. I already had everything in my house! I always forget about browsing through the dollar store for craft items. 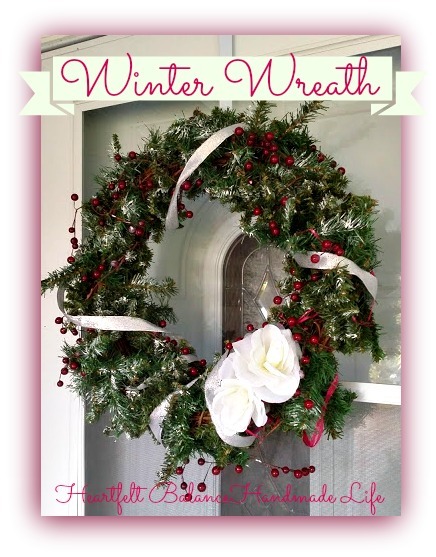 I love how you made this wreath, and that the materials are affordable and can be reused seasonally. I’m all for budget-friendly decor items! OMG, this turned out so good and looks so luxurious. I live it. Especially the fact that you can reuse it so worth your money and more. You did such a pretty job with this! How awesome that you don't have to spend much at all to make such a transformation to fit the seasons! 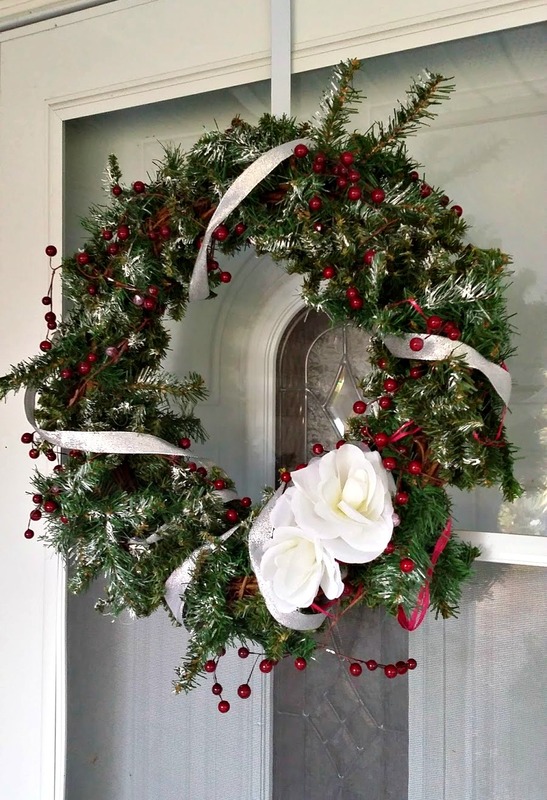 I think your wreath turned out wonderful! I am terrible for diy decorations, there was a time when I still tried, but now I ended up admitting my lack of skill in that area, lol. I have a few items that I rotate during the year, but they are not done by me (fortunately!). It is absolutely gorgeous! Loving the flower details! I need to get into DIY more! I love that you upcycled your fall wreath. The wreath turned out wonderful as well. This turned out so pretty! I wish I was great with DIY projects. This is gorgeous, I can’t believe you made this yourself. I bet people would love to buy these. 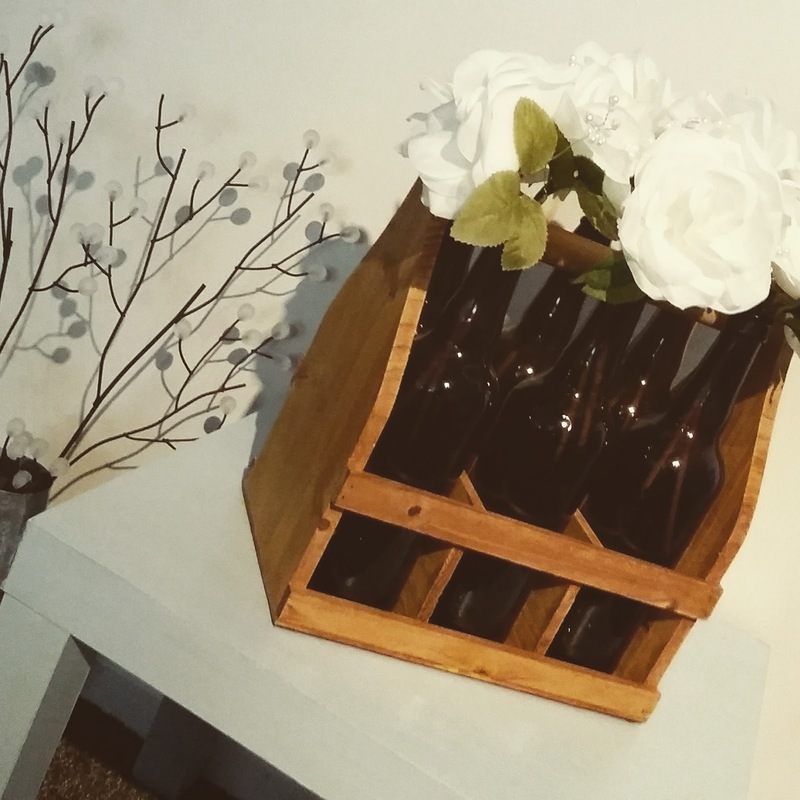 I’d love to see more of your DIY projects. Wow, it look so lovely and beautiful. 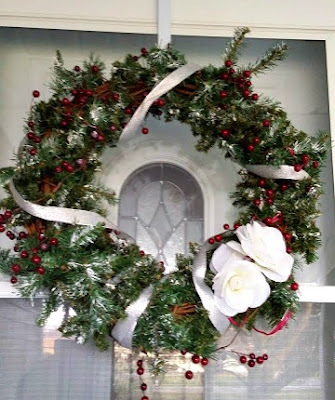 The way you made this wreath is so nice, and the materials are affordable. wah! You are so crafty! Some serious skills there, you could probably sell them as well. I am not crafty at all but i would like to give it a go with your instructions, maybe i can do it! 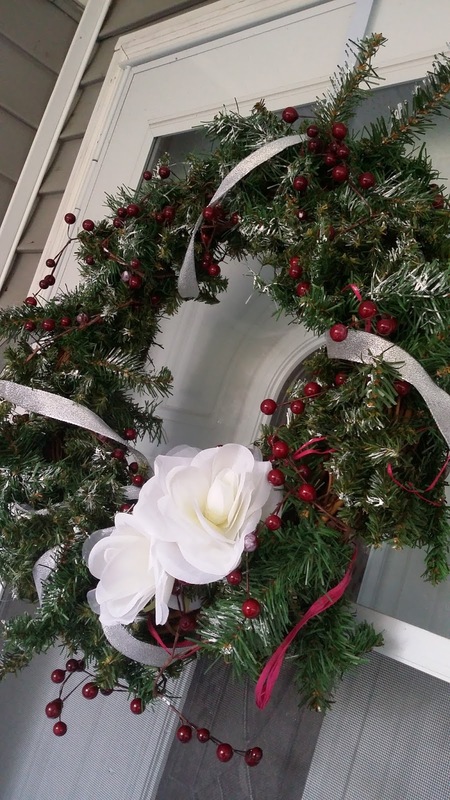 Decor with wreathes, as shown in your pics, sets the mood of celebration for Christmas. You have even given details how to do all. Wow!! This fall wreath looks so gorgeous. You really did a great job on doing this. 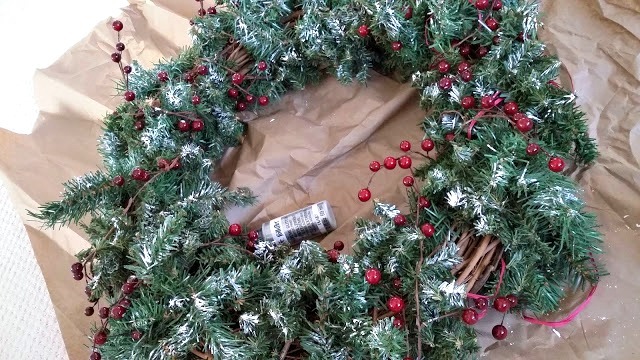 What a beautiful wreath!! We made one last year and we are using it this one as well. We had so much fun making it.